Looking for a powerful USB Power Delivery charger that can charge an iPhone, iPad or MacBook at full speed? 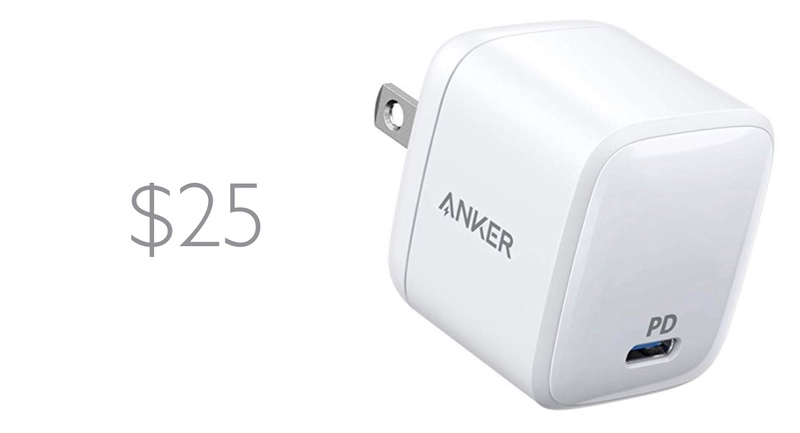 ANKER you covered in their latest deal. ANKER makes some of the finest charging accessories around and the company has been making waves when it comes to miniaturizing such products too. One such product is their gallium nitride powered wall charger which ditches silicon for a far more efficient charge in a form factor that is half of what Apple sells in their 30W wall charger. Speaking of 30W, that’s the power output of this minuscule charger, meaning that it will charge a MacBook at full speed using the USB-C port. But that’s not all, if you have one of the latest iPhones or iPad, you can expect blistering fast charge speeds too. We’re talking about going from empty to 50% charge in just 50%, the same as what Apple advertises using its own charger, but at a far less price and a higher efficiency rate. It is absolutely hard to imagine that ANKER was able to pack in such a small package, making it the perfect accessory to own if portability is your top-most priority right next to speed. If you are interested in this deal, then head over to the link below where you can grab this charger for a price of just $25 instead of its usual asking price of $30. And oh, there’s no discount code to enter either at checkout. It’s a perfect deal for all power-users out there.